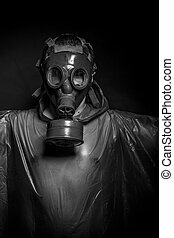 Ebola infection concept, man with red gas mask. 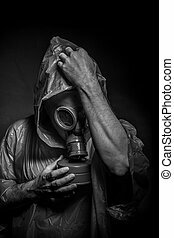 Save, a man in a gas mask over the smoke. 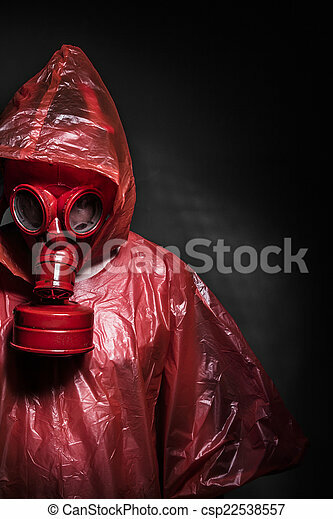 black background and red colors. 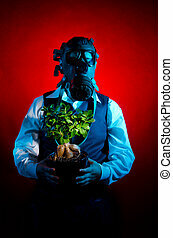 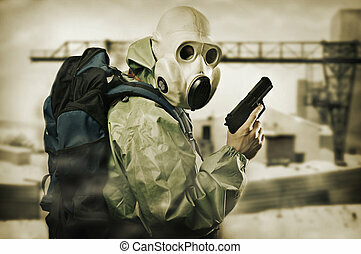 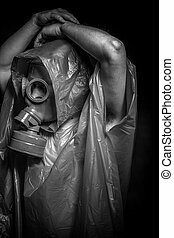 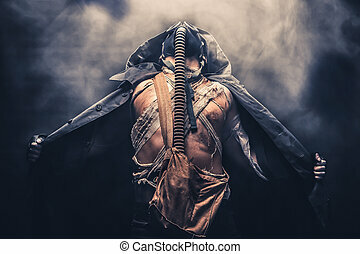 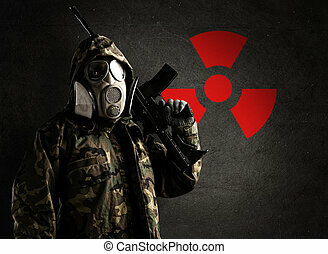 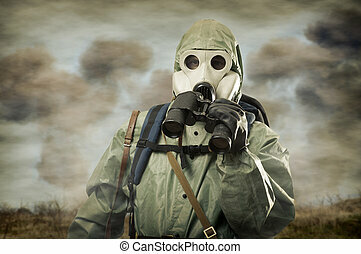 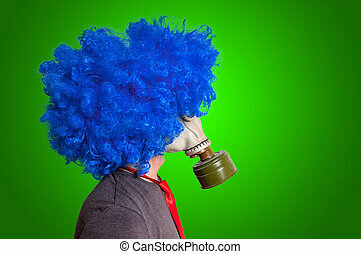 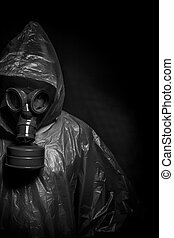 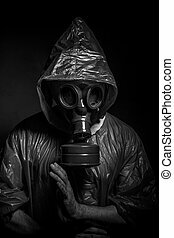 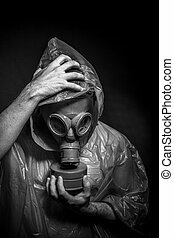 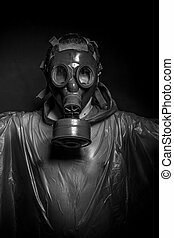 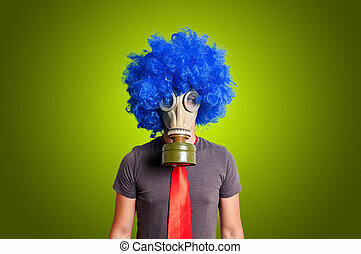 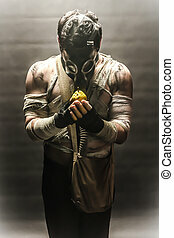 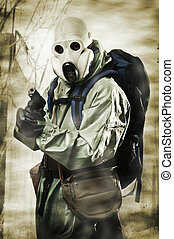 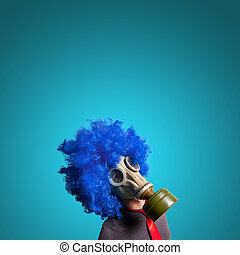 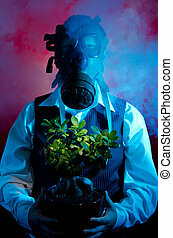 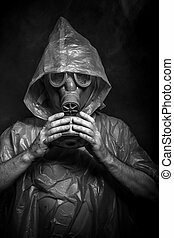 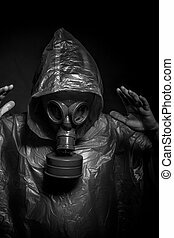 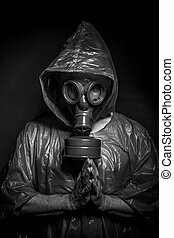 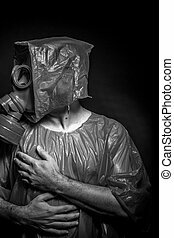 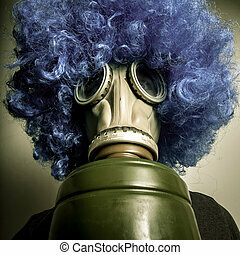 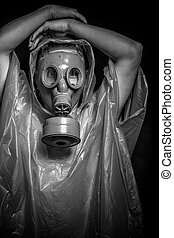 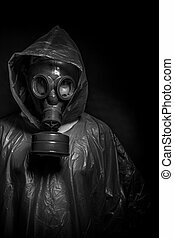 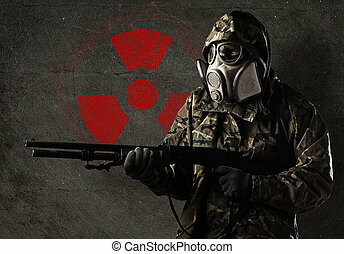 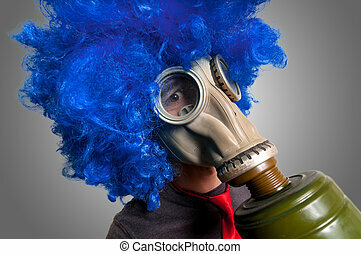 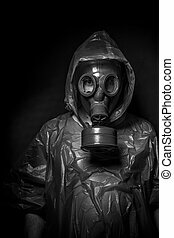 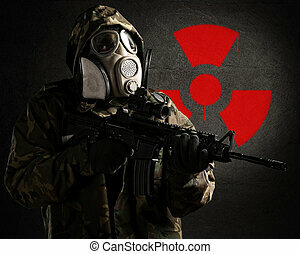 man in the gas mask in the hood, on the black background surrounded by smoke, , survival soldier after apocalypse. 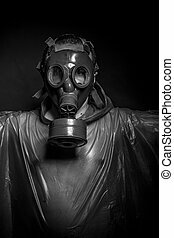 Man in the gas mask, on the black background surrounded by smoke, looking at the pear in his hands, survival soldier after apocalypse.